Another sensational week at El Oceano! This week is the lead-up to the eagerly awated Easter Weekend!! Enjoy an aperitif in the Martini Lounge, followed by the most exquisite dishes from the new 2019 A la Carte menu! Johnny Baker, La Negra Mayte and the Full Moon Gala Dinner all highlights this week! 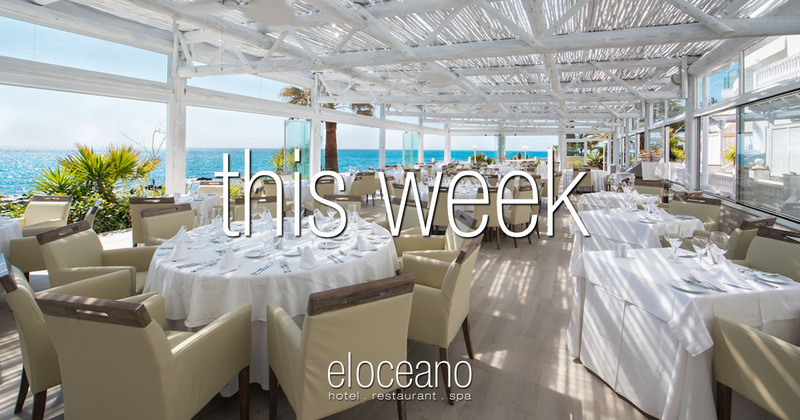 El Oceano… no better place to be this week! Every night at El Oceano is a little special! This week is perfect for those guests who prefer less noise while they eat! Tuesdays are often music-free, allowing you to better enjoy the company and conversation of good friends! For those who prefer to get up and dance a little, we have two appearances from the fabulous Johnny Baker, La Negra Mayte on Wennesday and tonight, Someone Like Adele, and, of course, the Easter Sunday Experience on Sunday! Wednesday the 17th – La Negra Mayté & Co.
Johnny’s second visit of the week and you couldn’t imagine a better Saturday night!! Pianist Johnny brings smooth tunes during your meal, then some ‘get-up-and-dance’ classics when you’re ready to move your stuff! Sunday 14th April – The Easter Sunday Experience – FULLY BOOKED!